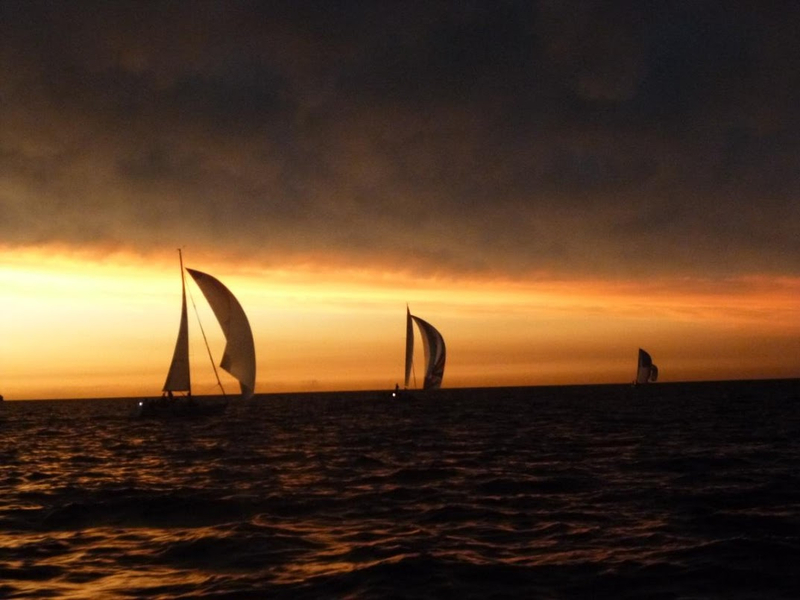 102 boats will be heading east from Chicago to St. Joseph, MI starting at 6PM tonight. The 50.5 mile race is leg 1 of the Tri-State, which will then head to Michigan City, IN and then back to Chicago over the course of Labor Day Weekend. Shown in this pic from last year, a storm with 40 knots of breeze postponed the start by an hour while sails were shredded, boats dropped out and we were flying around the start line blind. This morning, winds were peaking at 26 kts and have now calmed down to a consistent 13-16 kts from the south with a promise of storms. Stay tuned for the race report from St. Joe. – Anarchist Morgan, with title inspiration from Migos.